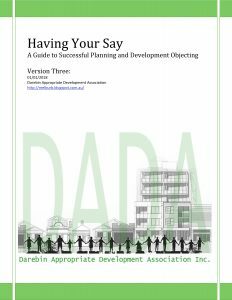 Description Construction of buildings and works in association with a 6-storey mixed-use development comprising 57 dwellings and 3 shop tenancies, use of land for dwellings, reduction in the statutory car park requirement; alternation of access to a road in a Road Zone Category 1, as shown on the plans accompanying the application. Apartment design follows 7 styles with internal amenity, storage, SPOS etc just adequate. Inadequate parking (details below). Query energy efficiency and insulation against traffic noise. 2. No loading bay or bins for x3 shops [52.07, 93.11]. 4. Claims disability compliant apts (x10 1 bed, x28 2 bed) yet provides just one small elevator to service 57 apartments across 6 le vels [58.05-1]. Is this reasonable?